Springtime in Arizona. 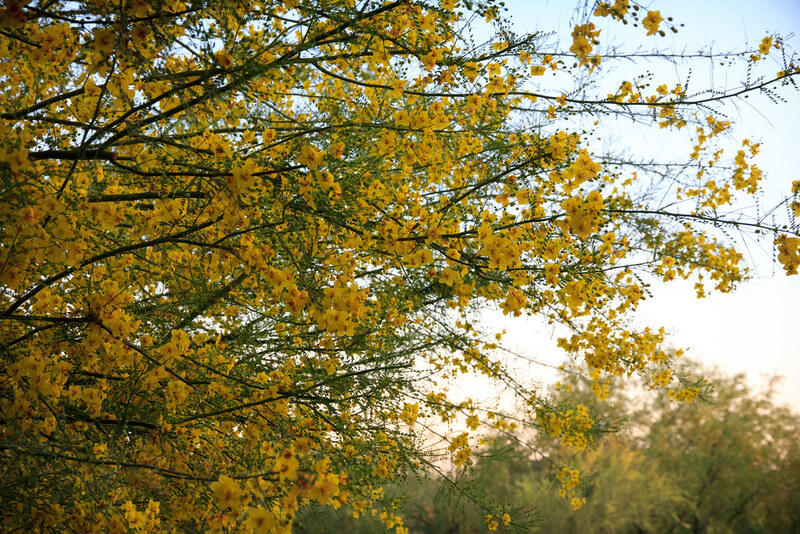 The Palo Verde tree in my front garden is blossoming nicely. Now, I can't say what it is, but something that grows here my body doesn't like. I managed to avoid allergies growing up (or hay fever as it was known in England). But my eyes and nose run like mad in the spring here. And as I get older it seems to get slightly worse. Thankfully there are pills for all this that work like magic. It’s known as hay fever here, too. Heh, I didn't know that. Maybe a regional thing? Never heard it ever mentioned by that name in AZ? I get spring allergies in SLC. I only wish SLC weather was a bit warmer during spring. We get high 70's, but then spring snow and it takes forever to get back to the high 70's again.